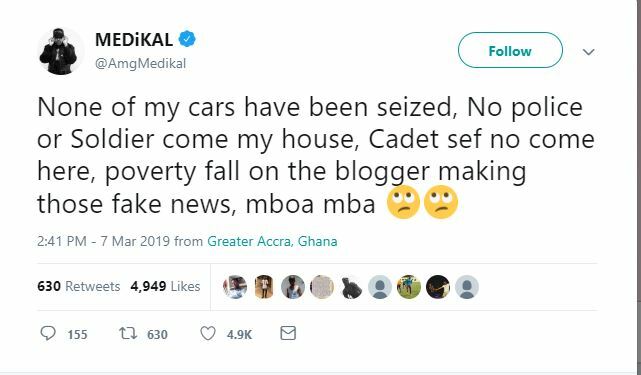 AMG rapper Medikal has denied the news report which has since gone viral that a group of military men stormed his Lakeside Estate house to seize his cars. According to the previous report, some men clad in military acted after picking information that Medikal’s cars were reported as stolen vehicles from the United States of America. In a new post on social media, the “Omo da” hitmaker revealed that none of his cars has been seized and there has not been the presence of any military or policemen stormed his house, not even a cadet. “None of my cars have been seized, No police or Soldier come my house, Cadet sef no come here, poverty fall on the blogger making those fake news, mboa mba” he posted. Now that Medikal has denied this, the question on the lips of his fans is why was his range rover and other cars not part of the convoy that picked him up from the airport when he returned from London. 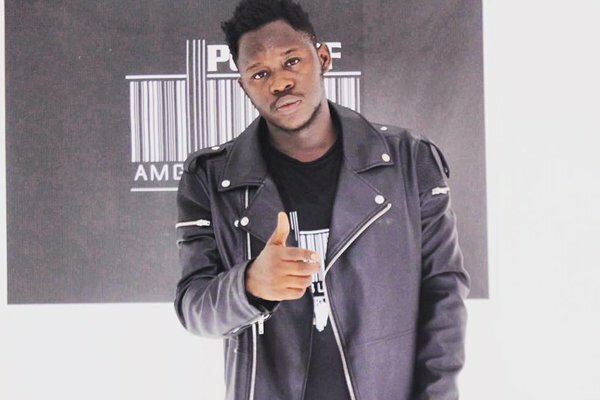 The post Medikal denies story of military storming his house appeared first on GHANAPAGE™.